One of the biggest concerns that we have in our society today in regards to death is dying with dignity. Many people want to be given the right to determine how they are cared for in their final days and the decision usually winds up being the same. The option that is chosen most regularly is that of Hospice Care and this is a tremendously important coverage for you to check in to. Support for the family and the patient is an important part of the Hospice process. Not just taking care of the patient but making sure the patient’s loved ones understand what is going on. Hospice is an option for any family that is struggling with the possibility of losing someone close to them. Did You Know That Alcohol Misuse is Now a Covered Medicare Service? 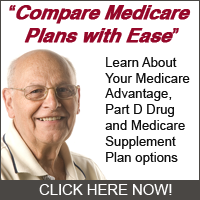 Are there any Special Circumstances for Medicare Advantage Enrollment? © Copyright 2019 Medicare Benefits, Policies and Enrollment Guide. All rights reserved.